you can't say in church?" who is finished with keeping brokenness in the dark. we can live lives that are whole and healed. 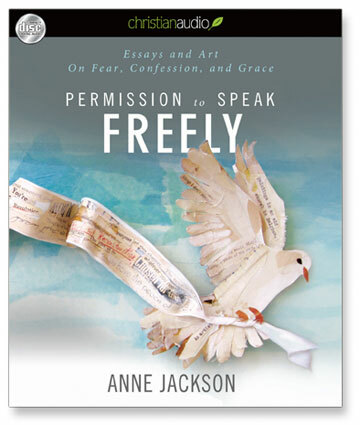 when prompted, to receive the entire audiobook for ONLY $2.98!!! be sure to sign up to follow them on facebook and twitter. 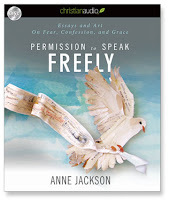 continue reading "Permission to Speak Freely by Anne Jackson"
and fulfilling your great purpose? OR are you just struggling to get through today? hold you back from being all God made you to be. 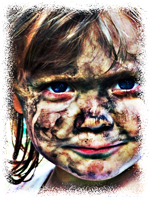 How can you overcome the challenges of life? and how to be an overcomer. "How To Live a Purpose-Filled, Peaceful Life"
There’s so much more to life than just getting through the day. God has more for you than worry and stress and busy-ness! He has a plan and purposes big and small that only you can fulfill. Isn’t your heart aching to know your purpose? Why is this the life you’ve been given? what your purpose is and how to live it! and your heart open to your little ones. Register for the FREE Step UP! webinar. Overcome, Step UP & Walk in Your Great Purpose! continue reading "Step UP! FREE Webinar with Beth Jones"
I've been hurt in church, what do I do? from Margaret Feinberg on Vimeo. Do you find that God often uses the church to EXPOSE our pain? continue reading "I've Been Hurt in the Church"
to God's faithful presence in our lives." 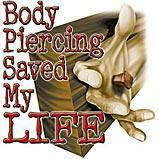 * Thanx Treasia for sharing this amazing song with me. continue reading "The Silence of God"
have emerged the strongest souls. continue reading "What If I Stumble?" A Sunday School teacher had just finished telling her third graders about how Jesus was crucified and placed in a tomb with a great stone sealing the opening. Then, wanting to share the excitement of the resurrection, she asked "And what do you think were Jesus’ first words when He came bursting out of that tomb alive?" A hand shot up into the air from the rear of the classroom. Attached to it was the arm of a little girl. Leaping out of her chair she shouted out excitedly "I know, I know!" "Good" said the teacher, "Tell us, what Jesus’ first words were?" And extending her arms high into the air she said Jesus first words were "TA-DA!" Thanks to my FB friend, Shane Schwieters for sharing this - love it!!! continue reading "Jesus' First Words"
continue reading "2010 National Leadership Forum ~ Two Day Webcast"
continue reading "FREE Christian Audiobook Download ~ Ministries of Mercy"
God uniquely created us to be. continue reading "FREE WEBINAR with Elisa Morgan"
To make a difference in your world you’ve got to be real. There is nothing worse than a holier-than-thou Christian who never shares his hurts and sorrows. I don’t know about you, but I can’t relate to perfection. Authentic people make a difference in the world. I heard recently of a minister in the Midwest who was going for a walk with a soap salesman in the community who was a real skeptic toward Christianity. They were having quite an active debate while walking through the park. The businessman was getting in some good jabs at the inconsistency of Christians. They walked in silence for a few moments, and then the minister turned to him and said, “You’re a soap salesman, right?” “Yes, of course,” was the reply. “Is it good soap?” “It’s the best soap on the market!” was the comment of the salesman. Visit WILMINGTON first assembly of God on line! LOTS of great sermons, as well as inspiration to encourage you! 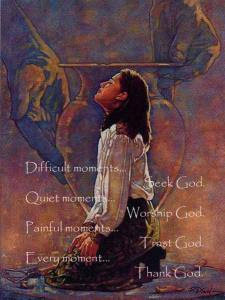 continue reading "Top 10 Predictions for 2010"
and the MOST BLESSED LIVES." You are invited to join the Leadership Network for the August Spotlight, a FREE WEBINAR featuring Author Steve Saccone who will be discussing the factors that affect your relational quotient (RQ), using principles from his book Relational Intelligence. to identify, connect and help high-capacity Christian leaders multiply their impact. continue reading "FREE Webinar: Relational Intelligence"
Safe Place* Please take time to watch this powerful video on domestic violence. You are not alone. Reach out for help. (c) Focus Ministries - is a not-for-profit organization devoted to offer hope, encouragement, education, and assistance to women who are struggling in difficult circumstances, especially dysfunctional marriages, spousal abuse, separation or divorce. can find hope and healing in Jesus Christ. continue reading "Safe Place ~ Hope and Healing in Jesus Christ"
The book is part testimony of how I went from committed, albeit legalistic, Christian for twenty-nine years to witch, medium, and ghost hunter for eight years before God restored my faith and life. It details my personal struggle with trying to be "the perfect Christian" while being drawn to the Occult from childhood. The book is also a Biblical study that examines the current pop-cultural interest in the occult (in particular ghosts, hauntings, and mediums) and how this interest is affecting Christians as well as their beliefs about the supernatural. This is actually the first book in a series, What Christians Need to Know about the Occult. It is a series of collections written from my former experiences as a witch, medium, and ghost hunter. This book is primarily about ghost hunting, mediumship, and the paranormal but I chose "Escaping the Cauldron" as the main title because witchcraft was truly my entry into the arena of occult interest and exploration including such things as divination, psychic ability, spirit guides, mediumship, ghost hunting, etc. most important chapter of the book? 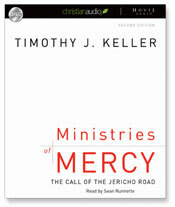 I think there are many important chapters but "Spiritual Warfare" and "How Should Christians Respond?" are the two which take everything discussed in the previous chapters bringing it all together, helping the reader understand their authority in Jesus Christ and leading the way to a ready defense for any kind of paranormal or supernatural event they may experience in their life as a Christian. I hope to inform and equip Christians with information about the occult. Additionally I pray the church will begin to acknowledge the presence of the spiritual world around us and listen to people who come forward with stories or claims of paranormal experiences without dismissing them immediately. When the church refuses to listen or offer any Biblical assistance, many people are forced to seek help elsewhere. This generally means seeking out ghost hunters, mediums, and psychics. I also hope to encourage Christians who may be questioning their faith to seek a deeper relationship with God, especially if they are stuck in a form of legalism. I write a daily blog, Kristine ReMixed at www.KristineMcGuire.com, on a variety of topics including faith, marriage, prayer, spiritual gifts, and the occult. I also work with my husband through Big Fish Ministries at http://www.bigfishministries.com/, ministering through speaking with him at church and para-church events about marriage, facilitating seven day or special event prayer rooms, helping the homeless, etc. I am also available to speak at any youth, women's, or church events on a variety of Christian topics. The book is available in paperback and Kindle editions at Amazon. The book is also available in paperback and e-book editions at my blog site: Kristine ReMixed at http://www.kristinemcguire.com/ and Lulu Publishing. continue reading "'Escaping the Cauldron' Blog Tour"
continue reading "Awake O Israel"